Our vehicle depart Preston normally every Friday to board a ferry from Portsmouth at the weekend for onwards to Santander or Bilbao in Northern Spain. From these ports in Northern Spain they head due South via Madrid , then down past Jaen and the city of Granada to our depot in Alhaurin de la Torre. Large deliveries will be delivered direct from the European vehicle where access permits. Smaller loads will be offloaded at our containerised storage facility and then re-delivered on Smaller Luton or Sprinter size vehicles. These smaller vehicles are perfectly suited to doing deliveries which can often be in the “Campo”. Even the towns closest to our depot such as Alharuin El Grande, Cartama, Coin and out towards Alora and Ronda can have issues with access. Its not uncommon to have to cross dry river beds, or access via steep loose surfaces that a large truck wont get near. The same applies to the beautiful “White Villages”- such as Mijas, Ronda, Casares that criss cross the region- Beautiful to look at, but built for Donkeys- not the horse power of lorries !! With Mark , Zaina, Rebecca and the team permanently based in Alhaurin and fluent in Spanish, we can liase with local officials where access is really difficult. Its not uncommon for roads to have to be shut to allow a delivery to take place. This again is where the smaller vans become invaluable. As with all things Spanish- making these arrangements’ can take a little time so planning is essential. From our depot in Alhaurin de la Torre the AP7 south is a well worn path. What were fishing villages 50 years ago have grown and are now a mecca of apartments that we regularly deliver to in Torremolinos, Benalmadena, Fuengirola, La Cala de Mijas , and Calahonda. Onwards down through the Marbella Arch, Marbella itself, Puerto Banus down to Estepona. Inland the golf course communities abound around Benahavis, La Zagaleta. If you are purchasing and furnishing a holiday home- you can have new furniture delivered direct to our depot in Preston. We can consolidate from National retialers and we offer a months storage free of charge at our Preston warehouse before departing with your goods for Spain. Estepona lies further South and is very popular with expats along with Sotogrande. San Roque and La Linea are popular with those whom come to work on Gibraltar- very often in the gaming industry. Our Malaga team will also do regular deliveries to Gibraltar. Please be aware that we need prior knowledge that Gibraltar isd the final destination to enable us to do T forms in the UK to be cleared at the Spanish/ Gibraltar border. – Queuing to do so is inevitable. Heading East from our storage facility in Alhaurin de la Torre is the principal city of Malaga itself. Our team cover all the coastal towns- Rincon de la Victoria, Torre Del Mar, Nerja, Almunecar, Salobrena, Calahonda all the way to Roquetas de Mar and Almeria city. Inland the terrain can be interesting in towns such as Torox, Velez Malaga, Frigliana as you start to gain height in the foothills of the Sierra Nevada. Heading north on the A44 towards Granada City the terrain can become challenging in the mountain villages of Lanjaron, Lecrin, Orgiva- again, smaller vans are essential. Our team in Alhauin de la Torre cover the whole of the Nueva Anadalucia region. We don’t just deliver, we can also collect your goods should you decide you wish to move back to the UK. We can offer storage facilities in Alhaurin if you are moving from one home to another in Malaga. We can also offer local moving services across the Malaga province. Should you decide you are leaving Spain to emigrate to Australia, New Zealand, USA, Canada, Sotuh Africa tehn we can ship to these destinations via our Malaga depot. Our staff have the local knowledge and expertise to guide you through any situation. We can supply cartons and packing materials form our Malaga depot aswell.  Movers Interantional have had our own staff and vehicle permanently based in Alicante for over 20 years. We have two bases on the costs Blanca, the first is in Javea in the north, the second is in Catral near Torrivieja in the South. Our vehicle depart Preston normally every Friday to board a ferry from Portsmouth at the weekend for onwards to Santander or Bilbao in Northern Spain. From these ports in Northern Spain they head due South via Madrid and then onwards to Valencia to start our deliveries on the Costas. Our northern Costa Blanca depot would cover deliveries and collections from as far north as Pensicola and Castellon. They would also service both the province of Valencia and the towns to the north such as Pucol and Lirria, and the city of Valencia itself. When delivering into the city of Valencia , very often notice is required as parking permits need to be arranged, particularly for large vehicles. For deliveries to apartments higher than 1st and 2nd floors then we can arrange for ladder lifts/ outside elevators to be on hand- again notice is required. Northern Costa Blanca. Colin and his team have a wealth of experience completing removals in the Northern Costa Blanca. From our Javea base we regularly service the coastal towns such as Oliva, Orba, Denia, Javea (Xabia), Moraira, Calpe, Altea and Albir. Venturing inland the towns of Sanet Y Negrals, Benidoleig, Pego, Ondarra, Pedreguer and the Montgo are regularly visited along with Gata de Gorgos, Teulada, Benissa, Parcent and the Jalon Valley. Access can be difficult in some of these areas so we do have Luton and Sprinter vans on hand should access be difficult for a large lorry. We can arrange to check access in all these areas before your goods arrive from the UK. Colin and his team know the area very well so will have been to these places many times- and its not uncommon, for us to have been to the actual property before now !!. If you are moving back to the UK we can supply cartons and packing materials in advance, arrange for collection on specific day- vital if you are flying in just for a couple of days to clear a home and see the notary. The Bendiorm area is a popular area for expats, with high rise apartments offering great views out into the Mediterranean, but also the historic old town with its narrow streets. Close by are Altea and Albir to the north, Finestrat inland and to the south the wonderful sounding Villajoyosa before you reach Alicante city. Our containerised storage facility in Catral is our base in central Costa Blanca is where we service Southern Alicante , Murcia and Almeria provinces. If you have only a couple of cartons or a small amount of items we operate a service where by we hand items out to yourselves from our Catral depot. Should you be returning to the UK we can also supply cartons and packing materials form our Catral depot- and local storage is also available. From our Catral storage facility the towns of Elche, Crevillent, Gran Alacant, Dolores, San Fulgencio , Almoradi, Guadamar, Rojales, Algorfa are all within a 20 minute drive to the North. Other local towns include Orihuela serving Punta Prima, Playa flamenco, Cabo Roig, La Zenia, Villamartin, Campoamor and Campoverde. To the east is Molina de Sugura, Archena and further inland Cehegin, Mula and Bullas. Just to the south and just into the Murcia region lies Sucina, the city of Murcia, San Javier, San Pedro, Torre Pacheco and the Mar Menor with the famous La Manga club. We don’t just deliver to these areas, we can also collect your goods should you decide you wish to move back to the UK. We can offer storage facilities in Catral if you are moving from one home to another in Almeria, Murcia or Alicante. We can also offer local moving services across these provinces. Should you decide you are leaving Spain to emigrate to Australia, New Zealand, USA, Canada, South Africa then we can ship to these destinations via our Alicante depot. Our staff have the local knowledge and expertise to guide you through any situation. We can supply cartons and packing materials well in advance for you to pack, although we do offer full packing services and export wrapping of furniture. Mazarron and the Puerto de Mazarron towns are popular with expats and are passed as you head south down the coast towards Aguillas and the province of Almeria. Further south on the AP7 as you cross the Rio Almanzora you reach the town of Vera. South of this is the popular resort of Mojacar, close by to Garrucha and futher inland the town of Los Gallardos. To the north and inland are the popular destinations of Zurgena, Arboleas, Almanzora, Albox and Cantoria.- further on form this you then head back into the Granada province.